We found the article below on the denver.streetblog.org website. 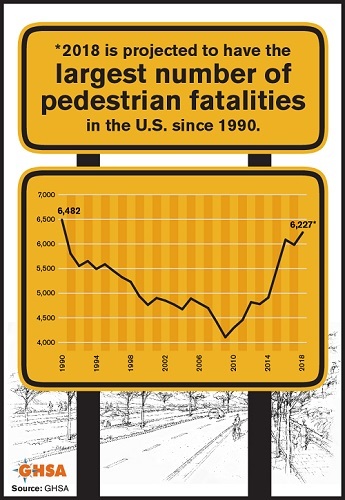 There is interesting information here about the huge increase in pedestrian deaths in Colorado over the past decade. 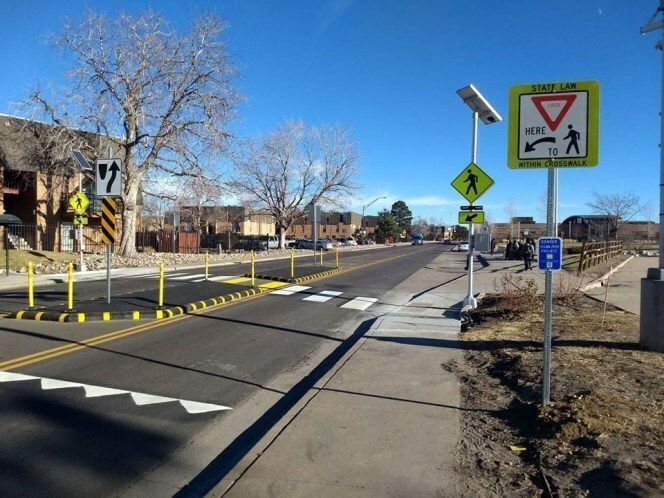 Drivers killed 35 percent more pedestrians in the U.S. than they did a decade ago — and in Colorado the number of fatalities grew by an astonishing 75 percent over a similar period. Colorado drivers killed 89 pedestrians last year compared to 51 in 2009, according to the Colorado Department of Transportation. Nationally, there were 5,977 pedestrian deaths in 2017 compared to 4,414 in 2008, according to the newest Spotlight on Safety report from the Governor’s Highway Safety Administration. “Crossing the street should not be a death sentence,” said report author Richard Retting in a statement. The report cites several possible reasons for the growing number of fatalities, including population growth, people driving more miles per year, driving at night and the growing popularity of SUVs and smartphones. To boost safety, Retting suggests that states increase safety education, intensify law enforcement and change road designs. Read the entire article about pedestrian deaths in Colorado by clicking here.